Hodgson Light and Log is West Michigan’s premier full-service lighting and design center. We know the importance of lighting inside and outside of your home, which is why we carry the largest selection of lighting in Southwest Michigan. We offer new designs and styles all the time to keep up with lighting trends. Visit our showroom to speak with a lighting professional who will work with you to find the perfect lights for your home. From gas fireplaces and gas stoves / gas inserts to wood fireplaces and wood stoves / inserts, as well as fireplace accessories we can keep you warm with quality and style. Whether you’re interested in nostalgia and comfort that comes with a wood burning fireplace or the cleanness and other benefits that come with gas, Hodgson can help. We carry a large selection of outdoor patio furniture – from dining sets and deep seating to gas fire pits and casual fireplace seating. Available in a variety of colors, patterns, and materials, our patio furniture is comfortable, durable, and absolutely beautiful. Treasure Garden patio umbrellas are high quality, beautiful, functional, and easy to operate. There are three main styles that include cantilever, collar tilt, and market. We can help you identify the ideal type of umbrella for your needs. At Hodgson Light and Log, we carry a wide array of lamps, lamp shades, and light bulbs. Four of our most popular styles of lamps include arc, table, floor, and desk / piano. Your lamps can be a focal point of your room or simply functional – it’s up to you! Whether you need a fan that’s close to the ceiling or for a great room, we’ve got what you’re looking for. You can also choose the number of blades you desire, the style, and whether or not you want to include a light. Clocks can really liven up your space. 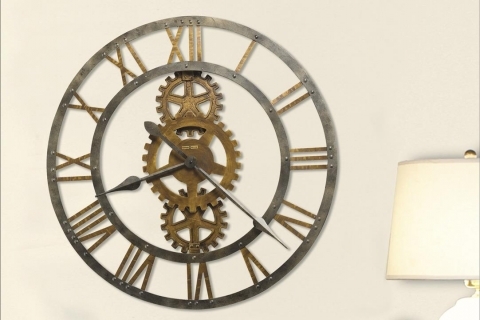 Whether it’s a desk, wall, or floor clock, we have a huge selection functional and decorative clocks in our showroom and through Howard Miller’s catalog.